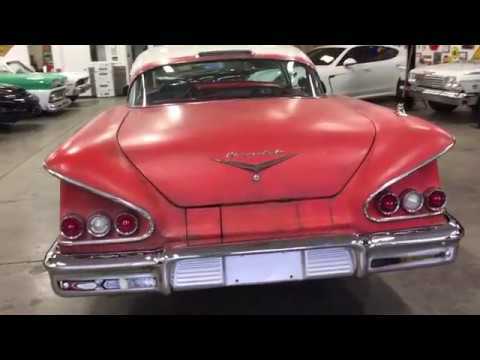 If you know 1958 Impalas then you know how amazing it is to see one wearing so many original parts in its original form. This one is the perfect mix of new and Patina. The car lived its life in the southwestern region and is extremely solid! Nearly everything has been gone through over the past several years and most of it was JUST completed. 100% brand new suspension with 4-Corner AirRide, New Fuel Tank. New Fuel Lines, New Brake Lines, New & Upgraded Front Corvette Disc Brakes, New Front Drilled & Slotted Rotors, New Ciadella Interior, New Billet Specialties Wheels & Tires....The list goes on. This car looks and drives awesome! The pictures should speak for themselves! Feel free to call or text with questions.